Encontrei 323 Hotéis em Wanchese. Escolha a data de entrada e saída para ver os hotéis disponíveis em Wanchese. Sem informar as datas, os preços com (*) são preços médios de cada hotel e nos arredores até uma distância de 10 km. Situated in Manteo in the North Carolina Region, this holiday home is 7 km from Nags Head. The property is 32 km from Duck and boasts views of the sea. The unit is equipped with a kitchen. A flat-screen TV is offered. Other facilities at Sailfish Point Villa #5202 include an outdoor pool. Sailfish Point Villa #6203 is a holiday home set in Manteo, 7 km from Nags Head. Guests benefit from balcony and an outdoor pool. There is a seating area and a kitchen as well as a private bathroom. Towels and bed linen are offered at Sailfish Point Villa #6203. Duck is 32 km from Sailfish Point Villa #6203, while Kitty Hawk is 20 km from the property. Boasting an outdoor pool, Sailfish Point #1 is a holiday home set in Manteo. Guests benefit from patio. The kitchen is fitted with a dishwasher. A TV and DVD player, as well as a CD player are offered. Other facilities at Sailfish Point #1 include a fitness centre. You can play billiards at the property, and free use of bicycles is available. Nags Head is 7 km from Sailfish Point #1, while Duck is 32 km away. Sextant Village #204 offers pet-friendly accommodation in Manteo. Guests benefit from patio. The kitchen is fitted with an oven. A flat-screen TV and DVD player, as well as a CD player are available. Other facilities at Sextant Village #204 include a fitness centre and outdoor pool. You can play tennis at the property, and free use of bicycles is available. Nags Head is 7 km from Sextant Village #204, while Duck is 32 km away. Sailfish Point Villa #6201 is a holiday home set in Manteo, 7 km from Nags Head. Guests benefit from terrace and an outdoor pool. There is a seating area and a kitchen as well as a private bathroom. A TV with satellite channels and DVD player, as well as a CD player are provided. Duck is 32 km from Sailfish Point Villa #6201, while Kitty Hawk is 20 km away. 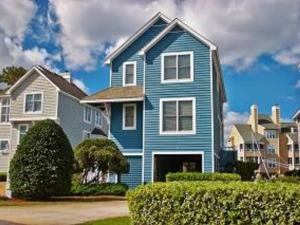 Harbour Place #4101 offers accommodation in Manteo, 7 km from Nags Head. The unit is 32 km from Duck. There is a seating area and a kitchen. Towels and bed linen are provided at Harbour Place #4101. Other facilities at Harbour Place #4101 include an outdoor pool. Sailfish Point #3 is a holiday home with a fitness centre, situated in Manteo. The unit is 7 km from Nags Head. Free private parking is available on site. There is a seating area and a kitchen complete with a dishwasher and an oven. A TV and DVD player, as well as a CD player are featured. There is a private bathroom with a hot tub and bath or shower. Duck is 32 km from Sailfish Point #3, while Kitty Hawk is 20 km away. Situated in Manteo, this apartment features an outdoor pool. The unit is 7 km from Nags Head. There is a dining area and a kitchen complete with an oven, a microwave and fridge. Towels and bed linen are provided in this self-catering accommodation. There is a private bathroom with a bath or shower. Duck is 32 km from Sextant Village #405, while Kitty Hawk is 20 km from the property. Sextant Village #504 offers accommodation in Manteo. The unit is 7 km from Nags Head. There is a seating area and a kitchen complete with an oven, a microwave and a fridge. A TV and DVD player are featured. There is a private bathroom with a bath or shower. Duck is 32 km from Sextant Village #504, while Kitty Hawk is 20 km from the property.